With our graphic design services at Back Office Pro India, we aim at developing designs that are attractive, engaging, and convey the marketing message by exactly representing your customer’s brand. We have handpicked the most creative and talented graphic designers to provide you with the best ever experience in outsourcing graphic design services to India. As design houses can never avoid scenarios like quicker turnarounds than their competitors, the ad-hoc need of skilled designers, and sudden influx of projects, Back Office Pro (BOP) offers to act as their back-office support. BOP with its team of seasoned graphics designers provides dedicated resources when design studios need them the most, enabling them to deliver quality designs without shooting up the cost for scaling up or hiring a skilled ad-hoc designer. Logos and Brand Identity Design Our graphic designers are equipped with the skills, talent, and trend-spotting ability required to develop logos that accurately reflect a business’ identity. Color psychology, typography, and a solid knowledge of marketing concepts combine to develop brand identities that pack a punch. Brochure Design We can produce quality renderings of your marketing materials into any number of formats including bi-fold brochures, etc. Marketing Material Design Our experienced designers work closely with clients to develop custom marketing materials including labels, stickers, brochures, flyers, leaflets, catalogs, menus, and more. We pay special attention to the client’s vision while imparting several years’ worth of expertise and knowledge into the design process. Advertisement Design We develop a wide variety of advertising materials for campaigns of all types and sizes. Our designers are equipped with the experience required to create designs for billboards, signage, trade show banners, and trade show booths, among others. Vehicle Wrap Design Due to the unique dimensions and the nature of the materials used, designing vehicle wraps for cars, vans, and trucks can be challenging. Our designers have worked with several leading brands to design vehicle wraps that are easily recognizable and memorable. Merchandise and Stationery Design We work closely with clients to design merchandise and stationery that can be handed out as favors at events and conferences. We aim for an understated design that is tasteful; making the merchandise more useful than gimmicky. Packaging Design Our teams focus on creative product packaging design that acts as more than just “storage space.” We also offer additional production support services including surface calculations, 3D design, and strategic content placement. Business Graphics Design We assist with the design of infographics, presentations, corporate reports, graphs and charts, newsletters, and press releases, maintaining a strong level of brand consistency across the board. Cross-Channel Content Support We are working collaboratively with marketers, publishers, developers, and web designers, to provide high-quality graphics for their cross-channel needs, with an emphasis on dedicated formats for each medium. Experienced in the development of digital creative and interactive media, responsive web, trade shows, sales collateral, and printed materials. Well-versed in the disciplines of typography, color theory, layout, and conceptual visual design. Strong foundations in Adobe Creative Suite. 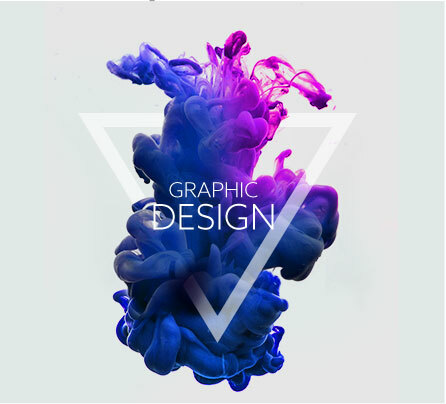 Our designers work with Photoshop, Illustrator and InDesign Pro to create high-quality designs. Highly capable of using various industry-standard prototyping tools including Sketch, InVision, and Balsamiq. Comprehensive understanding of Keynote and PowerPoint. Several years’ worth of experience in professional photo editing incorporating design elements. Well-acquainted with layout and design for web graphics and marketing materials, both digital and print. Our designers create mockups and low fidelity prototypes of early concepts before proceeding further. This ensures that clients can provide critical feedback right from the get-go. BOP’s designers are skilled in the use of the latest industry-standard creative design software. Also, we use only the licensed design tools. Our clients are given highly competitive rates, and despite the lower costs involved in working with us, we never compromise on quality. We assign resources based solely on the client’s needs. We offer per hour, per project, or FTE resources. Our teams can handle projects of various complexities and can handle even the tightest deadlines. With a vast amount of experience spanning across several industries, we are a trusted outsourcing partner with companies around the world. Back Office Pro offers the perfect balance between creativity, affordability, and quality. Should you wish to work with us, contact us by filling in our online contact form, and one of our dedicated project managers will get back to you within one business day.